Robert Stack’s popular TV show Unsolved Mysteries was the ultimate favorite among die-hard crime and mystery fans. Here in the Philippines, we remember Noli de Castro’s Magandang Gabi Bayan as the best choice for all things bizarre and horrifying. Simply put, unsolved mysteries hold an enigmatic appeal that may leave some of us glued on the TV sets. This just proves that truth will always be stranger than fiction at the end of the day. 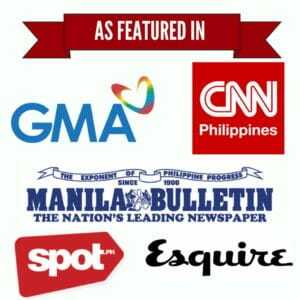 Listed below are ten of the most intriguing mysteries in the Philippines that remain unsolved up to this day. Some are either supernatural in nature or historical figures whose deaths always spark a debate among academics. Read, enjoy, and share! 10.Multiple UFO Sightings in Las Piñas. 9. Gil Pérez – The Teleporting Soldier. 7. The Miracle of the Roses (Lipa City, Batangas). The backstory: We may not have reports that could surpass Roswell UFO incident but local sightings in recent years might prove that aliens do exist. 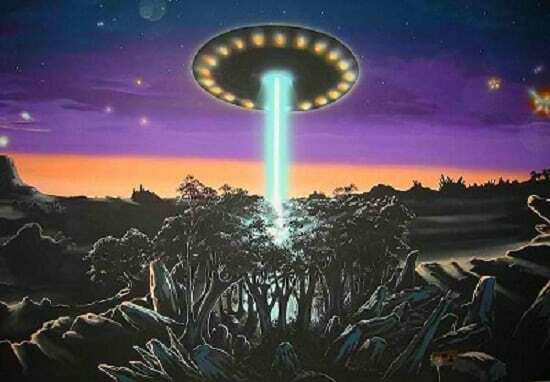 People in the 90’s, for instance, were shocked when Actor-turned-environmentalist Roy Alvarez reported of close encounters with aliens (even in his dreams). Then, at the turn of the millennium, we were introduced to the then 37-year old Antonio “Tony” Israel of Las Piñas whose video footage of a UFO drew flak from PAGASA investigation team. Incidentally, Tony was again involved in this bizarre phenomenon in 2004 when three of his young neighbors saw several reddish-metallic glares flying across the partly cloudy skies in Mabolo St., Verdant Acres, Pamplona, Las Piñas City. ‘Clueless’ factor: Neither a team from the United Nations led by Dr. Jean Chu nor the Philippine Weather Bureau was able to draw a conclusion from the 2000 Las Piñas sighting. Although initial investigations ruled out a possible fabrication, the lack of evidence was enough to leave the case unclosed. UFOs and aliens remain a debatable issue that sometimes described by religious groups as a “deception of the devil’ or ‘fallen angels’ destined to rule mankind. The backstory: Gil Perez was just an ordinary Spanish soldier and member of the Filipino Guardia Civil during the 16th century. 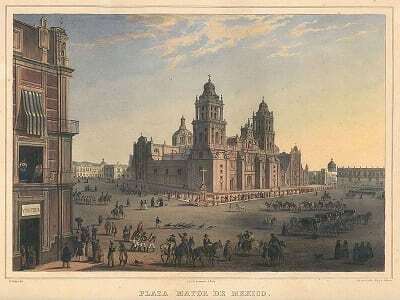 But on October 24, 1593, he suddenly found himself in Plaza Mayor, Mexico City–almost 9,000 nautical miles away from Manila. The bizarre “teleportation” incident was never believed by the Mexicans and Perez was jailed because people thought he was a “servant of Satan”. When asked about what happened, the confused soldier told the authorities that prior to the incident, he was just resting against a wall inside the Palacio Del Gobernador in the Philippines. As a proof, he told them that the Governor General Gómez Pérez Dasmariñas was just killed by Chinese pirates and all the guards were just waiting for the replacement. Two months later, a Manila Galleon brought news from the Philippines that confirmed every detail recounted by Perez. In fact, one of the passengers testified that he had seen Perez in the Philippines on October 23. Perez returned back to the Philippines and led an uneventful life thereafter. ‘Clueless’ factor: Teleportation is defined as a “transfer of matter from one point to another, more or less instantaneously, either by paranormal means or through technological means.” Although fascinating, teleportation is an event we only see on sci-fi novels or fast-paced Hollywood flicks. The story of Gil Perez left some historians baffled and skeptical at the same time. For one, the event was never documented until 100 years later. And without accurate secondary sources, it would be a challenging task to confirm whether this incident is just an urban legend or not. The backstory: Writer and researcher Alden Alag first coined the term “Romblon Triangle” to describe the area covering northern Romblon province, the Concepcion municipality in its endpoint, and in-between of the Dos Hermanas islands (Isabel and Carlota islands) and Sibuyan Island. ‘Clueless’ factor: Native Romblomanons have heard stories about the mythical “Lolo Amang” and his golden ship. Legend has it that prior to any maritime disaster, the mysterious ship would show up to seafarers only to disappear once the sea turns pitch black. Although a fascinating story, it doesn’t give a real explanation on how Romblon Triangle has claimed many lives. Philippine Coast Guard, on the other hand, compares Romblon Triangle to EDSA and believes that the disasters were either caused by typhoons or navigational errors. This rose petal showing an image of Mary holding a cross is believed to contain curing powers. The backstory: On September of 1948, one of the most controversial Marian apparitions in Philippine history occurred inside the Carmelite Monastery of Lipa. Sister Teresita Castillo was just a 21-year old novice at that time but what she witnessed took the Catholic Church by storm. She was praying at the convent garden when a beautiful lady on a cloud suddenly appeared. Dressed in white cloth with her right hand holding a golden rosary, the lady identified herself as the “Lady Mediatrix of All Grace “. Among the fifteen apparitions that appeared since then include a shower of fragrant petals which also show images of Jesus, Mary, and other biblical scenes. ‘Clueless’ factor: Criticisms and negative publicity forced Sister Teresing to leave the convent in the 1950’s. Initial investigations dismissed the apparition as “non-supernatural” but when a bishop confessed in his deathbed that he was forced to sign the agreement, the case was reopened in 1991. The following year, Msgr. Mariano Gaviola, archbishop of Lipa, lifted the ban and finally allowed the image of the Lady Mediatrix of All Grace to be displayed in public. The backstory: Best remembered for his humility and compassion for the masses, President Ramon Magsaysay was just 49 when killed in a plane crash. On March 16, 1957, the president traveled from Manila to Cebu aboard a newly reconditioned twin-engine C-47. Magsaysay named it Mt. Pinatubo, the highest peak in Zambales where he hid and fought during his guerrilla years. 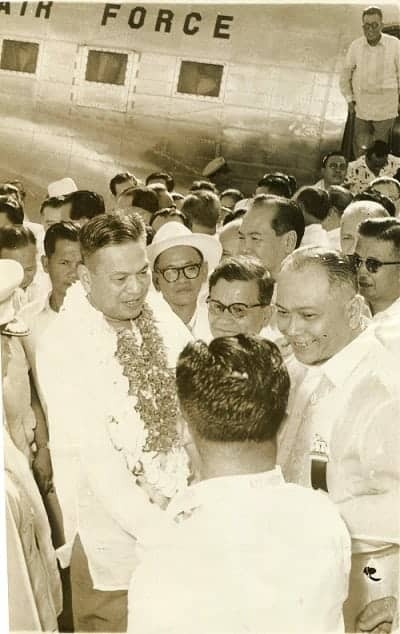 In Cebu, Magsaysay attended several speaking engagements including the one in the University of Visayas where he received an honorary doctorate. At exactly 1:15 A.M. of the following day, the plane left Cebu for Manila. It met its tragic end fifteen minutes later when it crashed on the side of Mt. Manunggal, killing the president and 25 others while leaving journalist Nestor Mata as the sole survivor. ‘Clueless’ factor: Several theories came up to explain why and how Mt. Pinatubo met an unexpected tragedy. Among these were possible sabotage (direct or indirect), a bomb on board, tipsy pilots, and overloading. Initial investigations discovered that technical lighting errors were to blame while former Senator Ramon Magsaysay Jr., son of the late president, believes otherwise. Since sabotage was already ruled out, it’s possible that the several baskets of mangoes, in addition to the passengers, took its toll on the plane engine. “what happened to the Golden Buddha?” one of the most mysterious questions until now. the UFO event I was one who actually saw it as well, its scary yet intriguing. Definitely, sky lantern yung UFO sightings sa Las Pinas. Malinaw na malinaw sa video na may blazing effect pa to.